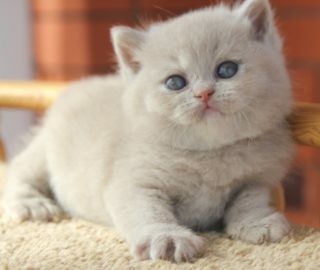 Welcome to the website of our British Shorthair cattery „Perlowy Raj*PL”. Our cattery is registered at the Felinology Club in Cracow, affiliated federation Felis Polonia, one of the biggest felinology organizations under the patronage of Federation Internationale Feline (FIFe). We live in a beautiful town of Mrowla located in the Podkarpackie Voivodeship. Currently, our bunch got a little bigger. We try to look for good blood and base our breeding on quality bloodlines from all over Europe. 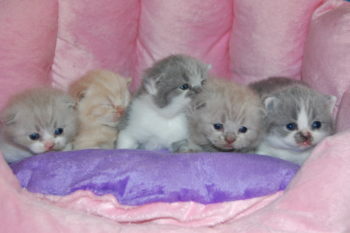 Our goal is to breed healthy cats of the highest quality and with the proper temperament. As a cattery, we are constantly developing. We try to breed wisely and responsibly. If you want to gain information about the breed please contact us. As legend has ancestors of British cats appeared in Britain in ancient times brought there by Roman legions after the colonization of Gaul to help in the fight against rats. It must, however, take many centuries before these cats were considered race. This happened only in 1929. As a result of the confusion caused by the war. At the end of the 40s the most original breed of cat in the UK, which is the homeland of their breeding was almost extinct. 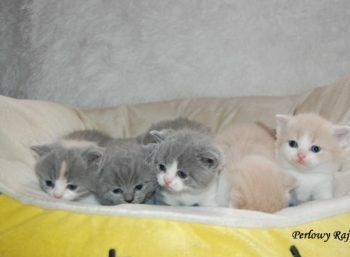 Before the war started because there with the kittens born in litters domestic cat selections of individuals, which corresponded with the predetermined ideal pattern. 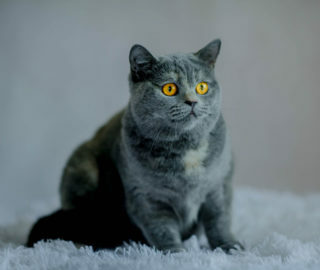 At the end of the 50s it was the program again, being introduced to him more Persians, mainly because to get a thick and dense fur, which was already known in the French Chartreux cats (Chartreux). 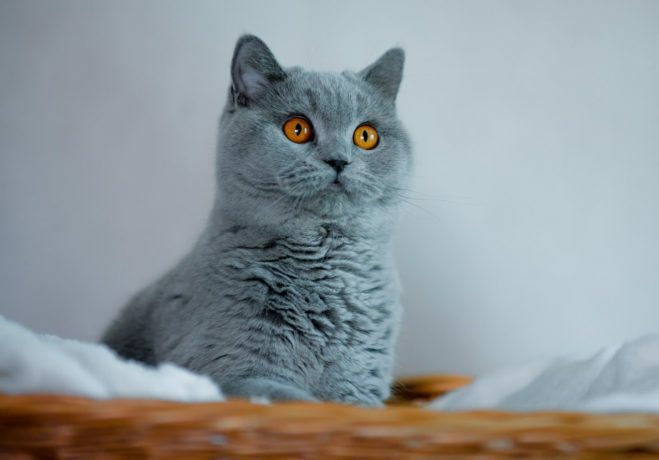 Initially, a very respected the principle that the resulting offspring is not introduced into the breeding Chartreux cats, as this could adversely affect the thick fur of this breed. 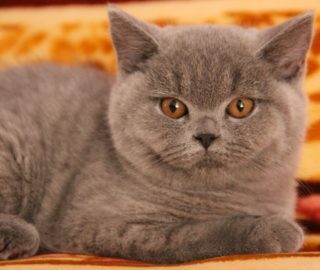 Today, no one bothers with such scruples, because farming differently colored cat British short włosych has already reached the level of breeding cats Chartreux (British shorthair blue). 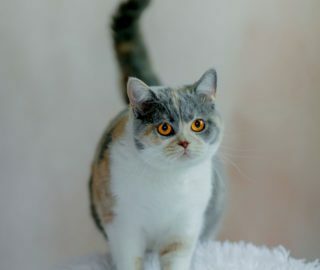 General Appearance: shorthair cat, strong physique, medium large or large (weight from 4 to 8 kg), strong, stocky and muscular. The fullness of his beauties reaches the age of 5 years. Head: large, round, massive and broad with characteristic folds, forehead clearly defined, covered with stiff hair, giving it its convexity, full cheeks, small chin. Ears: medium size, rounded at the ends, with a broad base. 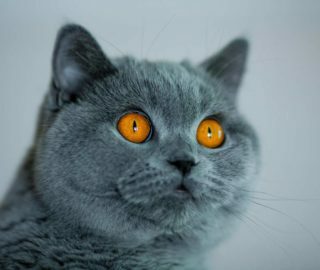 Eyes: Large, round, apart quite widely in colors coordinated with the coat color: orange, gold or copper, with a variety of white – orange, blue or multicolored, cats chinchila and shaded – green or turquoise, with colorpointów – blue. Nose: Short, wide, with a gentle stop. Body: stocky, muscular, compact. Broad shoulders, hips and shoulders, strong chest, short neck. Limbs: Short, strong, massive, large muscles. Tail: wide at the base and rounded at the end, the length of 2/3 of the trunk. Coat: short, soft, dense and double protruding from the body fur, feel like plush. 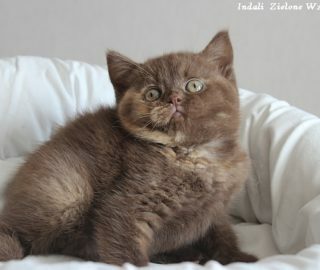 Color varieties: like the Persians in about 150 varieties of color; one color: blue, black, red, cream, chocolate, lilac and white; two-color: primary colors with varying amounts of white tabby in all primary colors (classic tabby, mackerel and spotted), tortoiseshell, chinchilla, silver shaded, silver tabby, smoke and colorpointy (with darker markings). 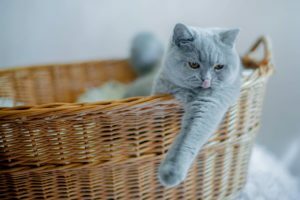 British cat is very intelligent, with a strongly marked personality, with a particularly developed sense of self-worth and dignity. These features make the average representative of the breed retains a certain distance from their caregivers, as well, that never happens to them intrusive or obsequious. Living in the great proximity with a man is always more past than with him, although one person in the family usually has for more deference than the other and this gives inexhaustible richness of his feelings. In his youth, cheerful and chirpy, after reaching adulthood becomes much calmer, his temperament can be described as moderate. 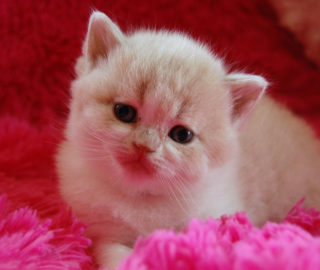 It is a cat brave, even fearless, without complexes, extremely balanced, honor, self-confident, dignified. Rarely uses voice and without the need for only one reason is able to descend to ask for anything his guardian - the reason is sometimes the most food. Briton should not be for the fastidious cats. Malicious even claim that eating is the biggest, if not the only, the meaning of his life. 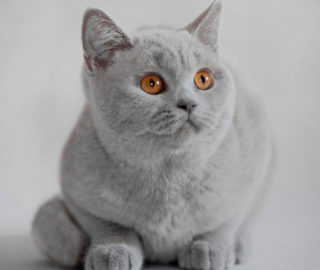 Because of its many advantages British shorthair cats are becoming increasingly popular both race in the world and in Poland. Trouble-free maintenance, quiet and do not require constant attention, without destructive tendencies, have virtually the only one flaw: running across the room Briton noise like a herd of elephants, but given its size, one should not especially surprising.